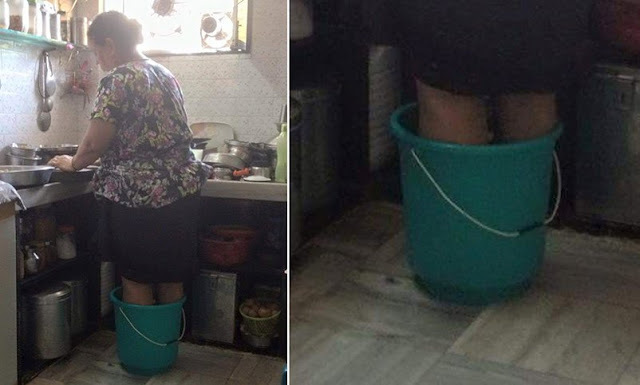 Despite of deep pain in legs a Mother stands in hot water bucket just to prepare breakfast for son! No Blessing is Bigger than the Blessings of Your Parents… We all have seen our Mother waking up early morning just to prepare our breakfast/lunch for school/college/office, she does countless sacrifices just so we can live with comforts, Your Parents do Everything for you, When the Time comes for you to “Give Back” to them Make sure you NEVER Turn your Back on them. This post was republished from bringinghumanityback.com. You can find the original post here.